As a child of the sixties I spent my teen years grappling with the issues of the Vietnam War, the free speech movement, and civil rights. Our generation wanted to do something to make the world a better place. Having graduated from San Francisco State with a major in art I went on to Pacific Oaks to learn to be an early childhood educator. One of the great things about Pacific Oaks is that they had preschool classes on campus and all of the graduate students had daily interaction with children. It was at Pacific Oaks that I first experienced a loose parts playspace. We used cable spools, old doors, boxes, tarps, and the like. Seeing how well these worked I realized that I could combine what I could use in my background from both school and like experience to make a difference by creating good places for children to play. At that time playgrounds in parks and schools were just galvanized pipe apparatus, which I saw as being extremely poor at supporting the full spectrum of play. Fifty years later, having done community site-built playgrounds, wooden, metal, plastic, rope, concrete, and even electronic play systems, I find myself turning to the larger issues of play. One would have to be very out of touch not to realize that far too many children still do not have a safe play to play. 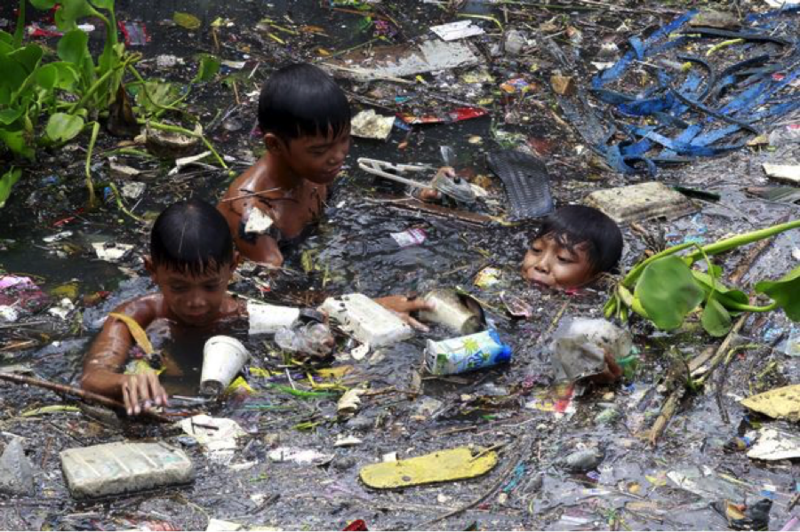 On one hand children in many places must deal with horrific environmental degradation. In other places political and religious conflict put children at risk. The extreme hording of capital in the hand of a few creates massive imbalances in wealth and extreme poverty. Not only do these conditions prevent the creation of safe places to play, but they also impact on children’s health, education, and ultimately their ablity to be fully functional members of the world community. I have come to understand, and to some extent accept, that my effort at making safe places for children to play is a failure. The few good playgrounds are a tiny fraction of the places where most children are. If all of the world’s population adopted our current lifestyle, we would use the resources of our earth five times. Even adopting the most stringent green living, we would still use one and a half planets. Our profligate use of resources produces vast quantities of solid and gaseous wastes that contaminate many of the places that children play. Of course, in the foregoing, I have not presented you with new information. You know these conditions exist, and like me you are doing what you feel you can to help ameliorate the problems when you have the opportunity. We cannot make a real difference if we confine our efforts to just creating playgrounds. 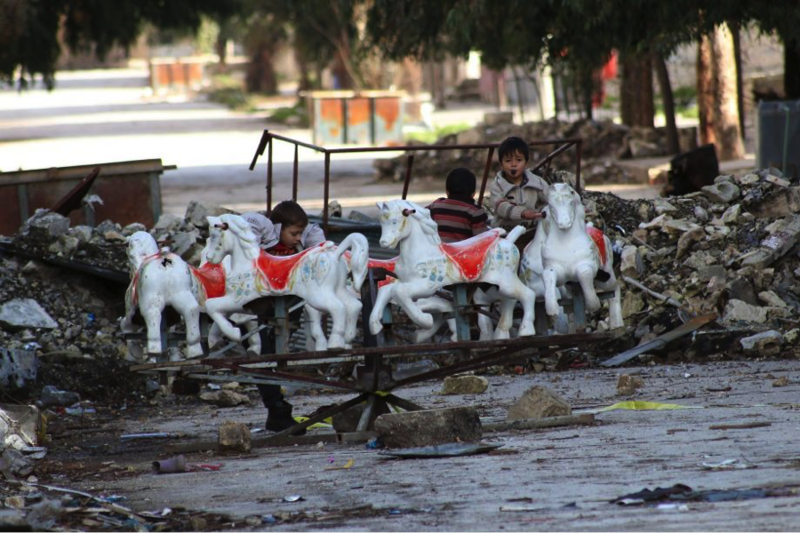 Safe playgrounds can only be part of the solution if the streets are not safe so kids can get to them. The streets can’t be safe so long as we give cars primacy in our culture and our urban planning. Neighborhoods cannot provide a safe environment if everyone does not pay their fair share in support of community services. The world will not be a safe place for children to play if most of the resources are consumed by a tiny fraction of the population. Taken together all of these issues seem to be overwhelming. However, providing a focus on play, becoming a fierce advocate, play can be effective. In fact, it may be THE MOST effective way to address the problems. Play cannot thrive if it is not safe and free. Those of us in the play community must speak out on issues as close to home as urban planning and housing. On the balance between income and costs of living, that has to be made sustainable for families. We must become models of moving away from consumerism in our profession and in our lives. And in the name of play, we must publicly support those who fight for these issues. If we remain silent on the big issues, all of our efforts on the small ones will have gone for naught. Of course there are risks. It can jeopardize your job as you are seen to be too political. Speaking out may cause some friends to draw away. You may be asked questions and not feel that you have enough information. These are not new fears. Everyone who has stood up for the truth and what is right has faced the same threats. Look again at the children in these images. These conditions are just plain wrong. It is intolerable. And, unfortunately, it is becoming all too common. As individuals, as municipal and professional organizations, and as individuals we must speak up. We must support change and those who fight for it. When you do you will find that you are not alone. When I am exhorting you to take positive action, I am talking about more than increasing your recycling, sponsoring community environmental educational programs, or organizing more volunteerism, etc. You already do much of this important work, and can, and will do even more. The Recreation Industry is dedicated to insuring access to, and advocating for, play within a sustainable community. Now there’s a mission statement! Since we are supposed to be all about play, let’s make a game out of this idea. Write your own mission statement for the Recreation Industry. It might be a good idea to look at the images I’ve provided while doing that so you keep in mind the broader vision. Better yet, you very likely have some images, not as horrific of course, from your own community that will inspire you. We will post your suggestions and open up a discussion. Perhaps your new definition will become the tagline for Play and Playground Magazine.